Whenever there is a mix of different ethnic cuisines within the same restaurant, it is often a recipe for disaster. It's difficult enough to master one type of cuisine let alone many. Of course, you'll get the spin that it's "fusion". Oh, that word again... Merely an excuse to use when the food is neither authentic or tasty. "Yah, it's fusion, the food tastes that way because of it!" Fusion? Fusion with what? Sometimes I wonder if these type of restaurants are a fusion of (insert cuisine) and dog food. "This doesn't taste like Beef Bourguignon!" "Oh, that's fusion between French and Alpo..." I digress... 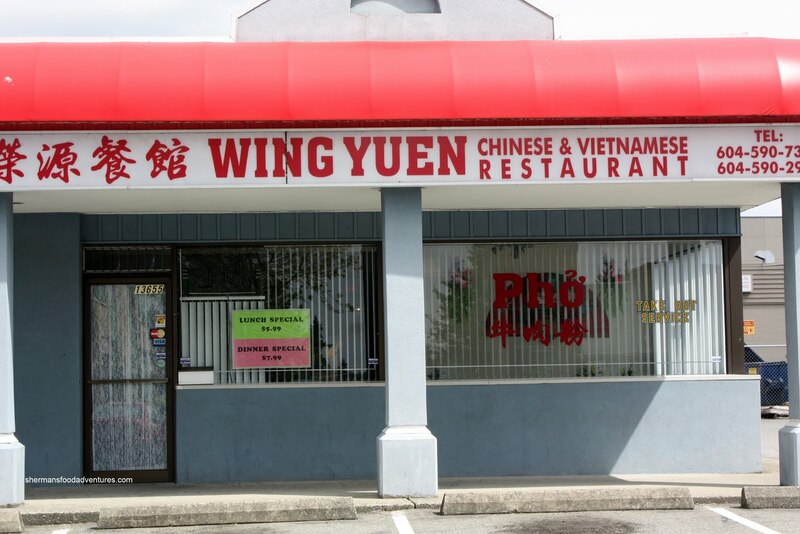 So, I was a bit concerned when I spotted Pho and Chinese food at Wing Yuen. Yes, both cuisines have similarities and use similar ingredients; but similarity doesn't mean "the same". 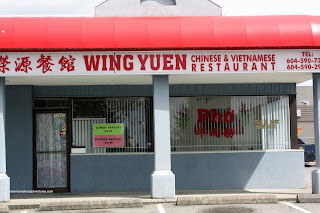 The only reason I decided to try it out was that I wanted Pho and honestly, there are not a lot of choices in Newton. Wait, I think this is the only choice in Newton! Being the first to arrive, I picked a wonderful corner seat surrounded by windows on both sides. Excellent soft light for my picture-taking. 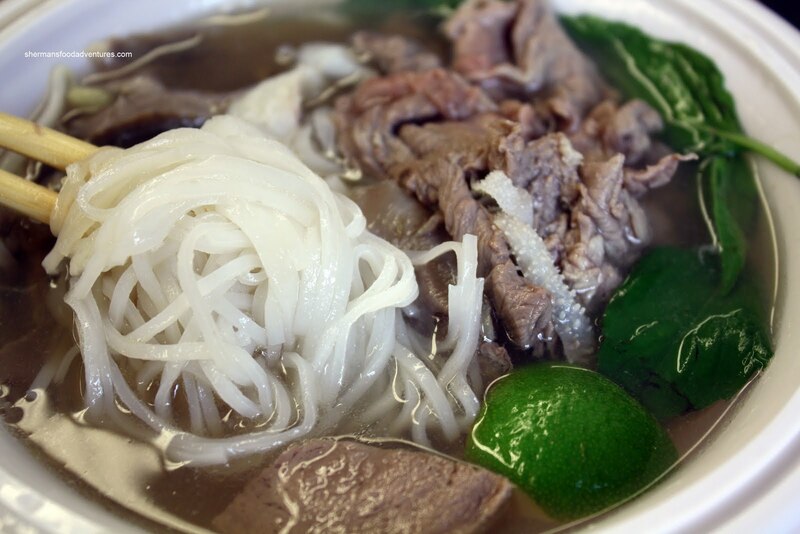 Thus, I wanted to take full advantage of this by not only order ing Pho. I decided to get 3 dishes and take leftovers home. 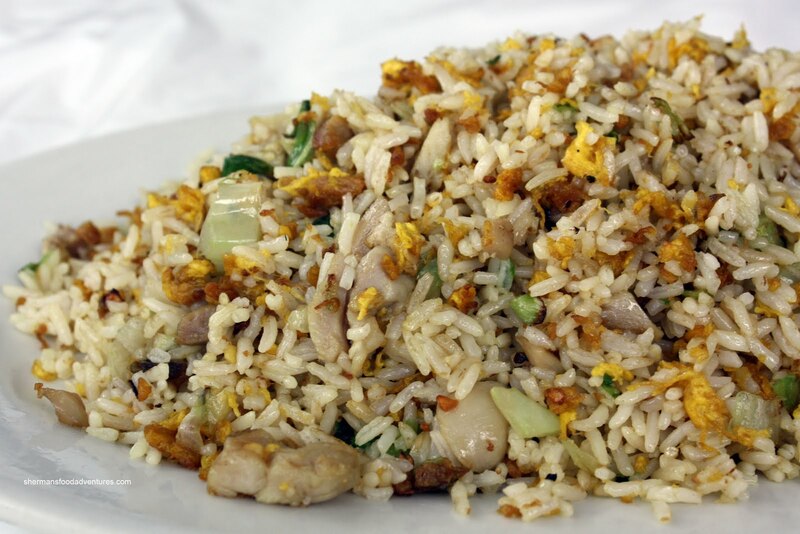 The first dish is a favourite of mine - Salted Fish & Chicken Fried Rice. Mind you, it is not a favourite of anyone around me at work. Let's just say it smells pungent. This particular version was good and bad at the same time. I really liked the texture of the rice. It was perfect day-old rice being dry and chewy. 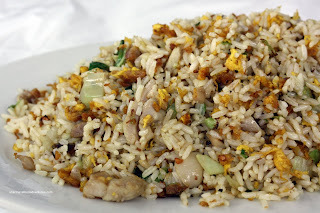 I liked how there was plenty of salted fish which made for a well-seasoned fried rice; but it was a bit too salty. Now, at this point I waited and waited for my other dishes to arrive. Well, they didn't because the server misunderstood me and packed the other 2 to go. Darn, all this great light wasted! Although the meats in the Pho were quite tender, I really didn't like the soup. It lacked depth and flavour. 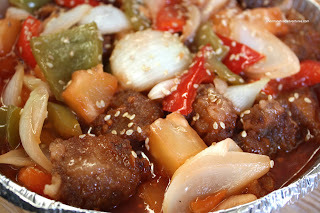 I can sum up the the Sweet & Sour Pork in 2 words - it sucked. No flavour, barely any pork and lack of colour, it was a total miss. Manchu Wok makes better. Ouch! To be fair, the food is edible; but if I had a choice, I would gladly drive up to New Town and eat there instead.